So, let’s start with some basics. The Common Application centralizes the admissions process for over 700 schools. These participating colleges and universities all use the same common biographical and academic information forms. Most of the schools also require or accept the Common Application essay. Neat, huh? 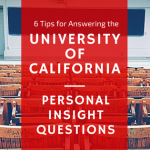 Essentially, you choose the schools you want to apply to, add them to your application list, fill in the general biographical information, upload or input academic records and standardized testing information, designate people to write you recommendations and upload the Common Application essay. All of this is done in one place. That’s it. Simple, right? Now, many of the top-tiered schools require additional information and essays, but most of these documents can be uploaded into the Common Application. If you’re applying to art schools, the schools will provide extra links on their Common Application sites. Those links will lead you to a website where you can upload your art portfolio and additional documents. We’ll discuss these additional requirements in another post. 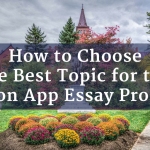 What does the Common Application essay require? Did you notice a common theme among these questions? 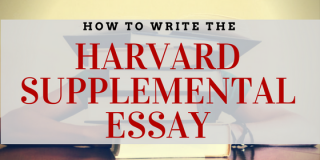 At its core, the Common Application essay is designed to make you answer the question, “WHO are you?” What colleges and universities want to know are (1) how have your experiences or background shaped you into the person you are today and (2) how is who you are today going to affect your future performance. 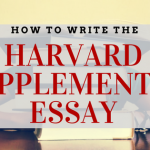 This essay is one of the most important parts of your application, and in some cases, especially for top-tiered schools, it is weighed as much as, or more than, your grades and test scores. Why? Well, think about it. If most of the applicants applying to a top college have similar academic profiles, how can the schools distinguish one candidate from another? It’s all in the story you craft, and we’re here to help you tell the best version of you! 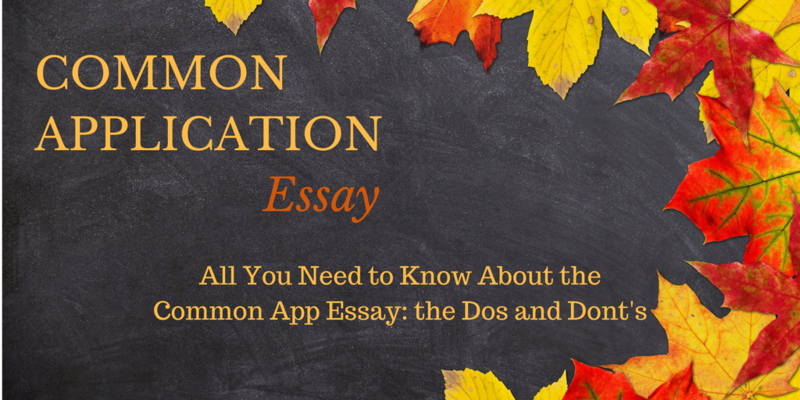 So, what should you do and NOT do while writing your Common Application essay? Write about a topic you are passionate about. When you have a lot to say about a topic, readers can quickly see the enthusiasm you have for the subject matter. Don’t pick a topic you care little about. Your lack of passion will be evident in your writing. So don’t pick a topic because everyone else is writing about it, especially if that subject matter is meaningless to you. If you do so, your essay will look lifeless. Is that what you want admissions officers to think of you? How do you choose the best topic for you? Make a list (List 1) of hobbies, achievements, skills, and personality traits. Pick an aspect from each list and combine them in a way that tells an interesting story. Select two to three events that can best highlight the two items you chose. For example, one student wrote about how her daily makeup routine and the colors she chose reflected how her confidence (both academically and personally) developed over the years. Another student wrote about how quitting one musical instrument and trying another one taught him how changing perspectives can improve an otherwise miserable situation. Now you try. What combinations can you make from your two lists? Don’t write about potentially offensive topics. 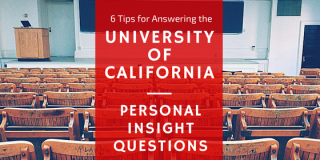 You don’t know which admissions officers will be reviewing your essay. Play it safe and avoid subjects such as religion, politics, death, or any other emotionally charged topic that might make your reader uncomfortable. Remember, you’re trying to make them like you. Answer the question. That is, make sure your topic focuses on WHO YOU ARE. Do NOT write about some amazingly interesting topic that has nothing to do with you. Remember, admissions officers want to know about YOU. So if you want to talk about the latest environmental disaster or the plight of a local ethnic tribe, make sure that story is about how that issue impacted you and shaped you as a person. Skip generalized information. Instead, provide real, specific examples to support your statements. Your attention to detail will help make you more memorable to an admissions officer who has to read hundreds, if not thousands, of essays.For example, instead of “I love hiking,” you could say, “After reaching the summit of Mount Kilimanjaro, I decided my next adventure would be climbing Mt. Everest.” What’s the difference between these two sentences? The first says you like something, while the second not only shows that you like something but also shows your level of commitment and your desire for challenge. Of the two example sentences, which do you think maximizes your use of words and would be more interesting to admissions officers? Don’t be generic. If someone else can pick up your draft and say, “Hey, that’s about me, too,” then you know something is wrong. Your essay should be unique. You’re trying to distinguish yourself from the others, remember? Watch the word count! The Common Application essay must be 650 words or less. Don’t write a novel or be too short. As you start writing, you’ll soon realize that 650 words is not a lot of space to talk about you. But that’s the point. You are NOT supposed to write an autobiography cataloging everything in your life. Instead, choosing a couple of specific events is all it takes to write a rich and powerful essay. Make those words count! Edit, edit, edit! Did we say edit already? This essay is not something you should write in one sitting and call it a day. Instead, do the following. Draft it without editing (this way you get all your thoughts down on paper and can trim/adjust later). Read your draft. For each sentence ask if it is adding more information about who you are? If it doesn’t, it’s probably good to cut it. Ask some adults who know you well to read for flow and organization and to make sure your essay is sound, substantively. Don’t use clichés, and DON’T WRITE LAST MINUTE. We know you’re busy with tests and life, but, hey, this is your college application we’re talking about. Make sure you give yourself enough time to draft it, let it simmer for a bit, and then revise it as necessary. Good luck with the process, and if you have any questions, please feel free to contact us at wordvice.com or e-mail us at edit@wordvice.com! We hope that carefully think about the tips above as you prepare to write or rewrite your Common Application essay. In addition to asking your teachers, counselors and other mentors for advice, you can also seek out professional proofreaders like us to help you revise your personal statement and make it shine!